With Congo’s army diverted to fighting a new rebel group in eastern Congo, new militia groups have arisen and older ones are reasserting themselves, killing hundreds of defenseless civilians, the British charity Oxfam said Tuesday. Underscoring the severity of the situation, U.N. humanitarian chief Baroness Valerie Amos arrived in Goma on Tuesday and is to visit some of the 280,000 people who have fled their homes since mutinying soldiers launched the M23 rebellion in April. But security is so poor that Amos was forced to cancel planned trips to the mining town of Walikale and the seat of the rebellion in Rutshuru, 75 kilometers (50 miles) north of Goma. “Vast swathes of the east have descended into chaos with no government or security presence,” Oxfam country director Elodie Martel said in a statement. As the 150,000-strong Congolese army and 20,000 U.N. peacekeepers have redeployed against M23 rebels in North Kivu province, fighting has spread to villages and towns, with the combatants often aiming to gain control of mines. Responding to the escalating crisis in the mineral-rich area, regional leaders met in Uganda on Tuesday where they may seek a change in the mandate of the U.N. peacekeeping mission. The option is one of three under consideration as presidents forming the 11-nation International Conference on the Great Lakes Region pursue a solution to the crisis. The other options include incorporating a neutral force drawn from around Africa into the U.N. peacekeeping mission in Congo, a position that appears to be favored by the Congolese, or establishing a force pooled from regional armies, a more desirable situation for Uganda and Rwanda, according to officials monitoring deliberations. A Congolese military intelligence official said the Congolese government is pushing for the option that merges U.N. peacekeepers with an international force made up of troops from Angola, Tanzania and South Africa. The official was not authorized to be quoted by name. James Mugume, the permanent secretary at Uganda’s Ministry of Foreign Affairs, said the summit in Kampala is being held because the U.N peacekeeping mission in Congo — MONUSCO — has “failed to do the job” of keeping the peace in eastern Congo. Oxfam called for regional leaders to put the protection of civilians at the top of their agenda. “Hundreds of people have been killed in attacks against villages in South Kivu, houses burnt and people kidnapped according to local and U.N. reports,” said the Oxfam statement, which added that recruitment of child soldiers is widespread, as is forced labor. Oxfam researcher Marie Cacace told The Associated Press the group’s report stems from information from village protection committees that report to local authorities. An advocacy group, the Enough Project, said Tuesday the M23 rebellion “has economic interests at its core,” mirroring previous wars and rebellions rooted in greed to control Congo’s massive mineral riches. A U.N. report into the rebellion found that Rwanda actively supports the M23 rebels. Rwandan government leaders deny it. The Enough Project report noted that Rwanda’s mineral exports rose 62 percent from 2010 to 2011 compared with only a 22 percent increase in domestic mining production, according to Rwanda’s own statistics. Tin exports rose 65 percent from 4,211 tons to 6,952 tons while domestic production rose only 14 percent. The Washington D.C.-based group said that U.S. legislation that would punish companies using conflict minerals and Congolese government reforms have both cut the incomes of armed groups involved in mining tin, tantalum and tungsten by some 65 percent in two years. But the new insurgency now threatens to bring “a river of smuggled conflict minerals” to global markets while slowing the first exports of conflict-free minerals used in cell phones and other high-tech devices, the group said. Mugume said the Uganda conference is trying to navigate the sometimes-conflicting demands of all the parties amid pressure from Congo to find a quick solution. The M23 rebels are allegedly led by renegade Gen. Bosco Ntaganda, who is wanted by the International Criminal Court. 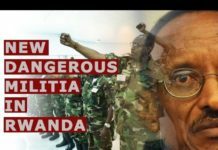 The M23 fighters launched their rebellion earlier this year after accusing the Congo’s government of failing to uphold their end of a March 2009 peace deal that integrated them into the army. Rebels control hills within 30 kilometers (20 miles) of the eastern provincial capital Goma. Just miles away at Kanyaruchinya, people fleeing the fighting have taken refuge in a Catholic church and school. Those who cannot find space in buildings or the homes of friends and relatives have built makeshift huts of twigs and leaves. Raspy coughs and sniffles among children at the impromptu camp are a sign of the increasing number of respiratory illnesses being treated by Doctors Without Borders. Four people have died from cholera. Congo suffered back-to-back civil wars that drew in the armies of a half dozen nations in a scramble for its vast mineral resources that killed as many as 5 million people. An internationally negotiated peace deal was signed in 2002 but the conflict never ended in eastern Congo. Muhumuza contributed from Kampala, Uganda. 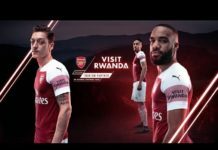 Kagame Boasted Tshisekedi Would Visit Rwanda. Tshisekedi Went To Uganda Instead. Kagame Must Wait.